None other compares to the quality, value and genuine authenticity that I present. America’s Military Veterans are deserving of the best that we can give them. To provide for the honor of a respectful burial service for all Veterans who have served our nation. To give Veterans the honor and respect for which they gratefully deserve. I am proud to say that I have done so. 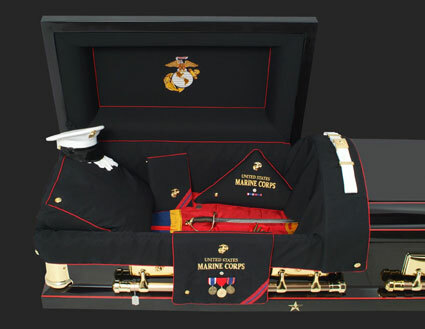 As the creator of authentic military caskets, all that is listed is included with the purchase of my caskets. Please contact me if you have questions or concerns about your funeral planning.